CUTTING DIMENSIONS: 24" W x 2.5" D, adjustable. 8 HP HONDA GX 240 ENGINE.357 LBS. HYDRO-DRIVE.20 cut strokes per second, 1200 per minute, cutting stroke is 1 3/8" side to side, up to 50% more than competitor modes. POWER REVERSE from hydrostatic drive for ease of manuevering, loading, unloading. INTEGRATED THROTTLE/CLUTCH CONTROL for simple to operate sod cutting=goes idle and stops machine movement when released. 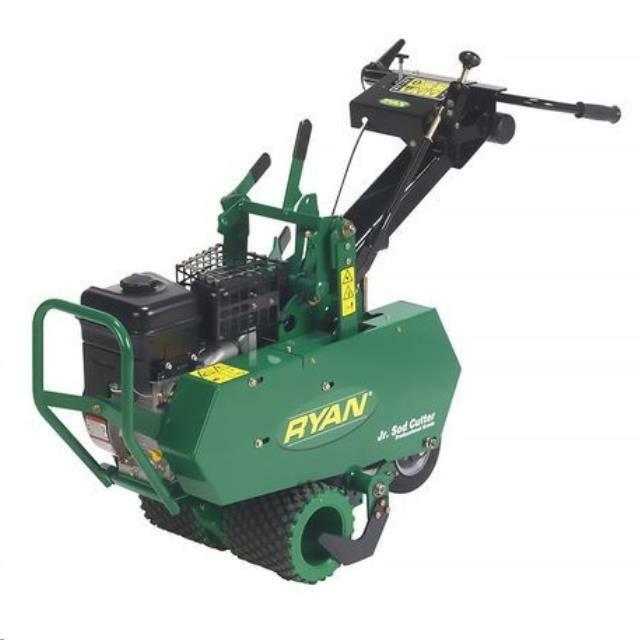 * Please call us for any questions on our sod cutter gas 18 inch rentals in Tualatin and Eugene, serving the Portland Metro area, Eugene/Springfield Metro area, Oregon, and SW Washington.